Dr. Amanda Zhao is a highly trained and experienced practitioner. 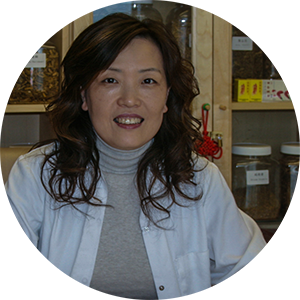 Dr. Amanda Zhao has a degree from the Traditional Chinese Medicine University in Beijing, and worked for 10 years at the highly acclaimed VIP department in Beijings TCM Hospital. Place one pack of the herbs supplied in a saucepan, add approximately 1 pint of cold water and bring to the boil. After reaching boiling point, simmer for about 20 minutes. Pour the resulting liquid into two mugs. Drink one mug of the herbal liquid when still warm in the evening and warm the second mug the following morning. The doctor will introduce the plan for the treatment and prescribe a course of treatment to heal the problem according to the principles of the Chinese medicine. All treatments are tailor-made for the individual patient. Everyone can receive herb treatment to solve the problem. If you need, you can also receive Acupuncture. With a history of 4000 years, traditional Chinese medicine has formed a unique system to diagnose and cure illness. Chinese medicine is more likely to treat the causes of the illness rather than just the symptoms, it is gentle and safer than western medicine. Everyone is individual, so treatment is tailored to the patient. Normally it will take 2-3 days before you see the difference. When the root of the problem has been solved the illness is gone. Unit 10, Level 3, Darwin Shopping Centre, Shrewsbury. SY1 1PL.